This is probably my new favorite nail polish combination. 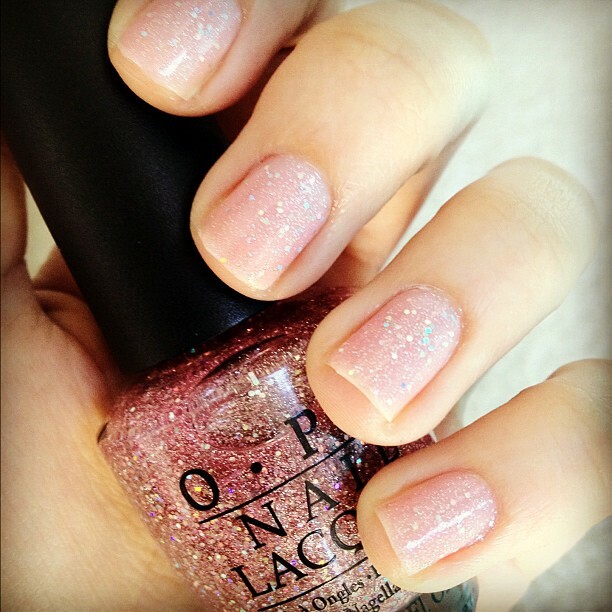 For the base coat, I used Essie's Sugar Daddy and for the top coat, I used OPI Katy Perry's Teenage Dream. 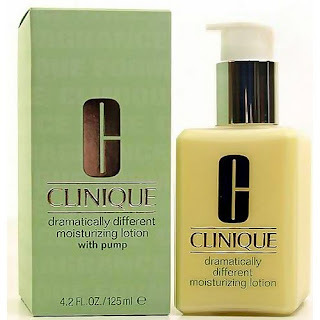 When I was at Clinique getting my lotion, the associate informed me that it was free gift time! Woo hoo! She asked me if I wanted the violet or pink color line. I randomly said violet because I feel like I have enough pink stuff. (What girl doesn't?) Anyway, she presented me with this super cute Spring looking, flowery makeup bag and some awesome gifts inside. By far my favorite thing from this gift was the lipstick inside. It is called "SHY" and it is the most amazing every day lipstick. It is a soft, glossy, muted, sheer berry. I love that it has no shimmer and is so polished, yet neutral. It is the perfect shade for any eye color, skin color, hair color...you name it. It is perfect. I got so lucky. If you need anything from Clinique, RUN! 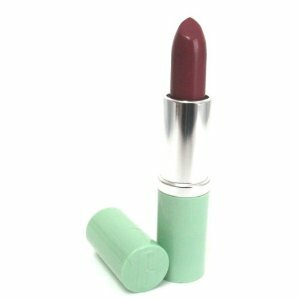 Tell them you want the gift with the lipstick named Shy! You will thank me! This is probably my favorite lipstick I own...and that is a lot coming from me because I own about 50 in all shapes, sizes and brands. :) So creamy! Love it! Okay, and last but not least. 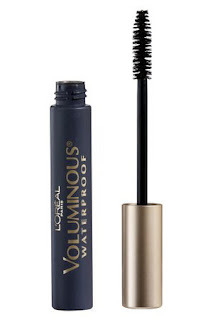 My favorite non-beauty item of the moment has got to be....DRUM ROLL, please. I have been eating it non-stop for 3 days. So random. 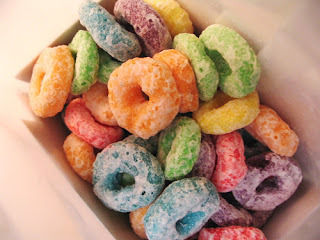 Yes, Fruit Loops. Back to 2nd grade people. Mmm! 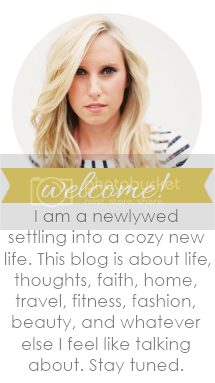 Taylor, Ashley told me about your blog and I just love it! 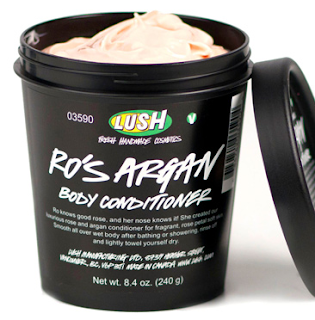 :-) After reading The Ramblin' Rooster's take on Lush, and now reading yours, I'm going to have to visit their website and place me an order. The products sound fabulous. I had used the Clinique Dramatically Different Moisturizing Lotion for years, and just switched to the gel. Awesome!!! One more thing, I love the Clinique "Shy" lipstick, too! It's the perfect color. I look forward to meeting you in person. Ashley thinks you are the best! Take care!